This lecture will celebrate the critical and creative power of blindness. Through a discussion of examples from 19th century French literature and art, Professor Thompson will argue that blindness is a fruitful theoretical stance available to both blind and non-blind people. 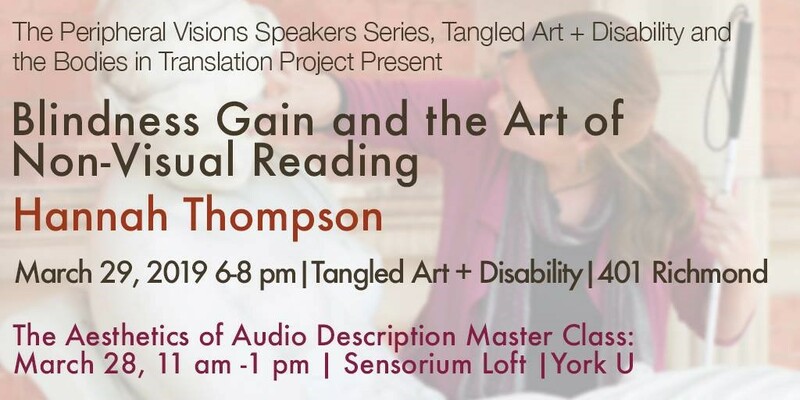 Thompson’s Critical Disability Studies approach will dismantle the traditional hierarchy of the senses and invite new ways of beholding familiar texts and images.